Cable-Knit Throw Pillow - 16x24? CLOSEOUTS. 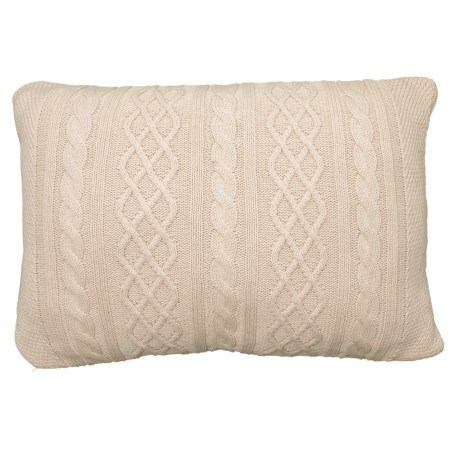 Pop a plop of personality into any living space with this Queenwest Trading Co. cable-knit throw pillow, made from soft knit fabric with a classic cable stitch and stuffed with lofty synthetic fill. Available Colors: MULTI.